CROWNSVILLE, Md. — The age of 13 is a time when most American teenagers worry about their freshman year of high school, begin experiencing their first intimate attractions to others, and keep busy playing video games, texting friends, and surfing the internet. 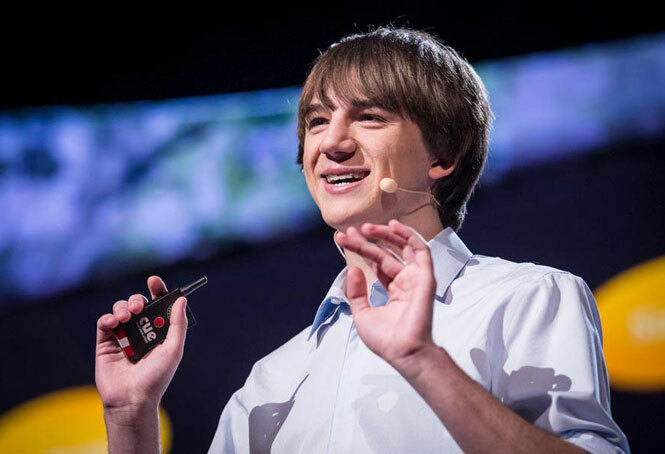 But in suburban Baltimore, three years ago — at age 13 — one young man decided there had to be a better way to detect cancer. Jack, speaking at the TED (Technology, Entertainment, Design) conference earlier this year. Jack tells LGBTQ Nation that his idea to develop an accurate and inexpensive cancer detection tool was the result of the death of a close family friend from pancreatic cancer. He says he was in biology class one day — sort of paying attention — while reading a science article regarding analytical methods that employed the use of carbon nanotubes. The idea struck him to work on a cheaper and faster test. “Google was my friend,” he notes. And between his Google research and freely available online scientific journals, Jack formed the basis to run actual tests on his theoretical tool. But, he says, he encountered one major obstacle: no one in the scientific community would help him. “So basically, when I started thinking about this idea, everyone said no. My parents said no, my brother said no, my biology teacher said no, and then all these professors said no. It was really kind of depressing,” he says. Jack says he reached out to over 200 professors and scientists including nearby Johns Hopkins University in Baltimore and the National Institutes of Health in suburban Washington D. C. with his idea. He included a detailed research plan and a proposed budget in his request for laboratory time to complete his research. Jack says that his “gold ticket [email]” came after 199 rejections. Dr. Anirban Maitra, a professor of pathology, oncology, and chemical and biomolecular engineering at the Johns Hopkins School of Medicine and a lead researcher at The Sol Goldman Pancreatic Cancer Research Centre, also at Hopkins, wrote Jack back and gave him his approval to conduct research in his lab. Jack jokes that over that two year period he practically moved into the lab, and since he couldn’t drive, was responsible for the deaths of several batteries on his mother’s Kindle while she waited in the parking lot at Hopkins as he did his lab research. The project, which he has now patented, is a simple dipstick diagnostic test which utilizes a paper sensor similar to the types used for diabetic tests. 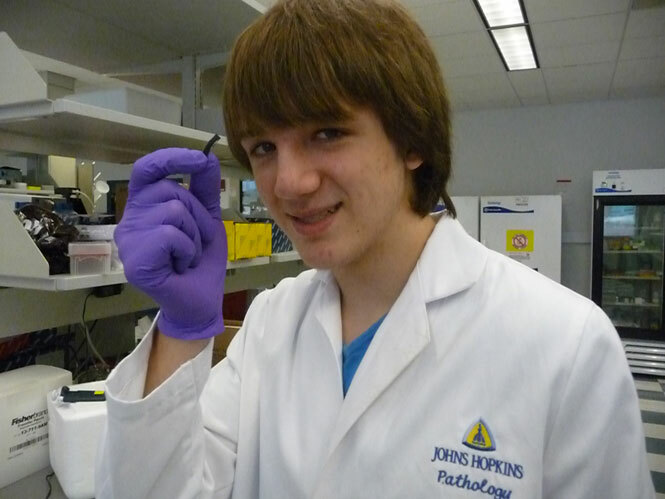 Jack says that the strip tests for the level of mesothelin, a biomarker in blood or urine, to detect whether or not the patient has early stage pancreatic cancer. He notes that the test is also effective for detecting ovarian and lung cancers. Jack credits his parents for his love in science — his father Steve is a civil engineer and his mother Jane is an anesthetist. 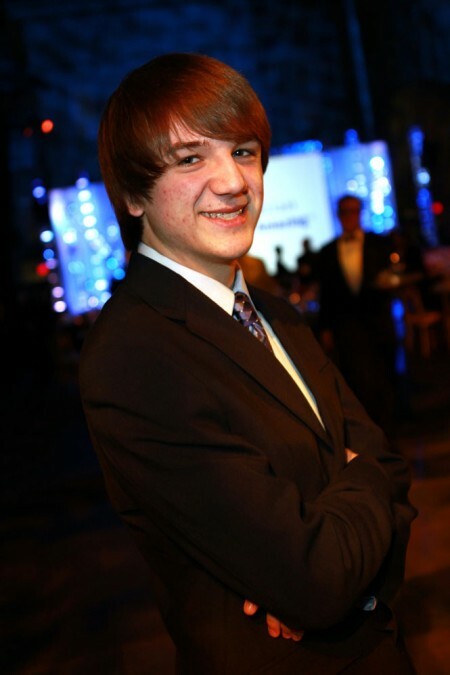 His older brother Luke had won a Massachusetts Institute of Technology THINK (Technology for Humanity guided by Innovation, Networking, and Knowledge) Award in 2011, and is currently a freshman student enrolled at Virginia Tech University. He says outside of kayaking (his parents met while kayaking, and it’s a favorite family pastime), his entire family loves science. From an early age, Jack says he and his brother enthusiastically embraced science projects, one of which, he fondly recalls, seriously damaged the family stove. Jack says he hasn’t decided on a college yet, and that while he’s focused on being a scientist and researcher, he really isn’t sure what direction his life will take. But for now, Jack is on a team of peers that are competing to develop a device about the size of a smartphone that would be used to diagnose 15 different health biometrics in a non-invasive, sensor device that emulates the medical tricorders of Star Trek fame. The $10 million dollar prize is being offered by telecommunications giant’s Qualcomm foundation. In the meantime, Jack says he is working with several biotechnology firms to develop and sell an over-the-counter version of his cancer-detecting invention. And the professor who first green-lighted Jack’s lab research — he predicts we’ll read a lot more about Jack in the future.